In London, over two years, a start-up – Thought Machine – secretly designed and developed its new banking solution from scratch. A team of 50 experts from Google, Goldman Sachs, Merrill Lynch, Morgan Stanley or UBS, led by Paul Taylor – a former Google engineer – recently unveiled a cloud-based core-banking software, VaultOS. Thought Machine wanted to solve one of the biggest challenges in the banking industry: replacing the out-of-date core software that retail banks have been using for decades. This OS is based on the latest technology such as cloud infrastructure or Blockchain, which enables banks of any age or size to deliver innovative end-to-end financial systems operating in real time. Why a new solution for Core-Banking now? Paul Taylor, CEO of Thought Machine, says: “People have suffered for too long from the archaic software banks are built on and their CIOs stay awake at night worrying if these systems will cope with one more day. It’s time for new ideas, built with today’s technology. Vault OS fixes broken banking and will be the engine for the banks of tomorrow.” In fact, most bank use old systems, some created 40 years ago and now working with metaphorical patches. But Banks do not replace or update them because they fear that the system could crash. In other words, systems are slow, costly and unreliable. The Royal Bank of Scotland failure case in 2012 or the HSBC payday problem before a bank holiday, are two major illustrations of the necessity to rethink core banking. 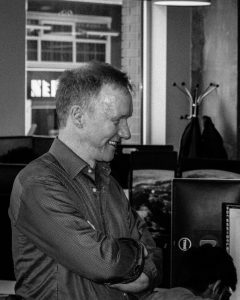 Considering these key issues, Paul Taylor and his team created a flexible and secure OS solution that can handle any standard banking functions or business models. Machine Learning system – the ability of computers to learn automatically, without human intervention or assistance, to improve and learn based on past experiences – thanks to a data collect, can allow a new way of finance management to know exactly how the customer is behaving. 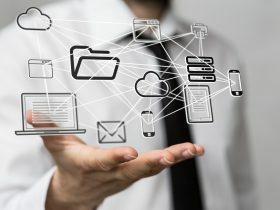 From the technological point of view, all the services are available as an API (Application Programming Interface) that eases the OS exploitation for both internal teams and external developers, following the logic of open innovation. However, even if the system can offer a new, more efficient and safer way to manage all the banking services, a lot of new business opportunities for banks and a better services quality for customers, banks are afraid to radically change their systems. The transformation has been slow for many reasons, the main being the regulatory environment. In fact, after 2008 banks must be up to date with all the regulator’s demands in order to reassure all the stakeholders. Secondly, it is less risky to just follow these demands than redesign the whole system in depth. The last reason is that, until now banking customer expectations was different to those in the other industries. Despite all these reasons, the banking industry faces a real necessity to transform their models, to digitalize all the services, process and functions. How does it work in practice? 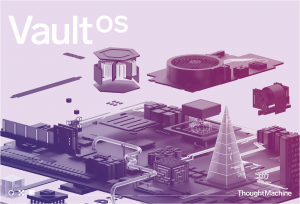 Taking VaultOS as an example, only two banks are currently trialling the technology, and being slow to adopt anything, all the banks that will test the OS will likely need to run it in parallel of their existing system during a certain period before completely switching.